Squeezing the Beast in between the hundreds of trucks jostling for space in the Songwe border, I eventually found a place to park and hopped out. At any African border, you’re greeted by twenty ‘helpful’ people wanting to exchange money or show you the ‘border procedure’ (for a fee of course). I learned very early on in my journey to pretend that I do this sort of thing daily. I greet them in the local language, smile, tell them I’ve already exchanged all my money in the previous town and that I’m good to manage the border myself. BORDER INFO: In Malawi there is no charge for road or fuel tax at all, only for 3rd party insurance which I already have in the Yellow Card Comesa. 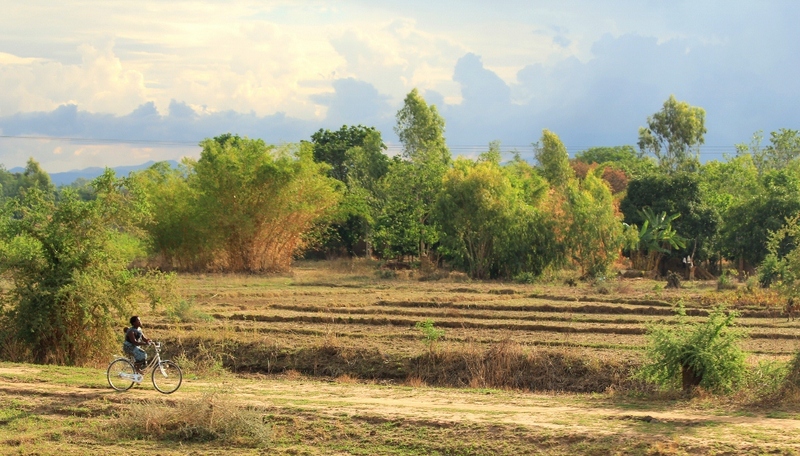 The difference between Tanzania and Malawi was immediately apparent. The land either side of the road was noticeably more flat and arid than the escarpment I had just descended in Tanzania. Where the farms were green and flourishing in north of the border, the land here was dry, burning and barren. 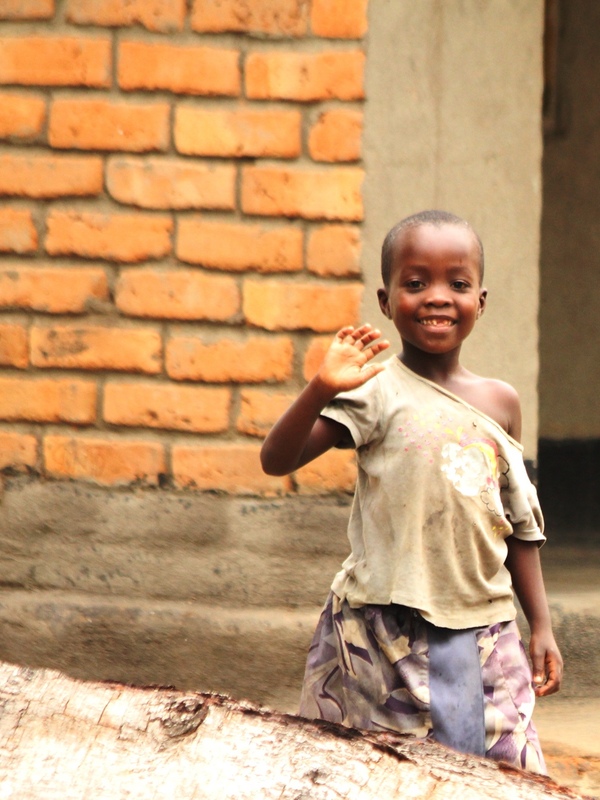 The people of Malawi seemed slimmer, wore clothes full of holes and walked without shoes. Due to last minute vehicle maintenance that morning, I had left Mbeya in Tanzania later than expected and I got to the first major town of Karonga in Malawi by early afternoon and was still undecided about whether to spend the night there or not. The guide books give you a few options for accommodation but you never really know until you pull into town and get a feel for it. One of the very first things I do when arriving in a new country is find a shack selling local sim cards and so I stopped at the Karonga bus terminal to try to buy one. I quickly realised that this was not the safest place for a lone female traveller and so I pulled up half on the pavement and as close as I could to the shack. This left half of the Beast blocking a large portion of the entrance to the bus station terminal and I soon had angry taxi drivers shouting at me to get out of the way – it’s amazing how a big smile and a thumbs up diffuses the situation. With a sim card and a bit of credit in my possession, I got the hell out of Karonga. 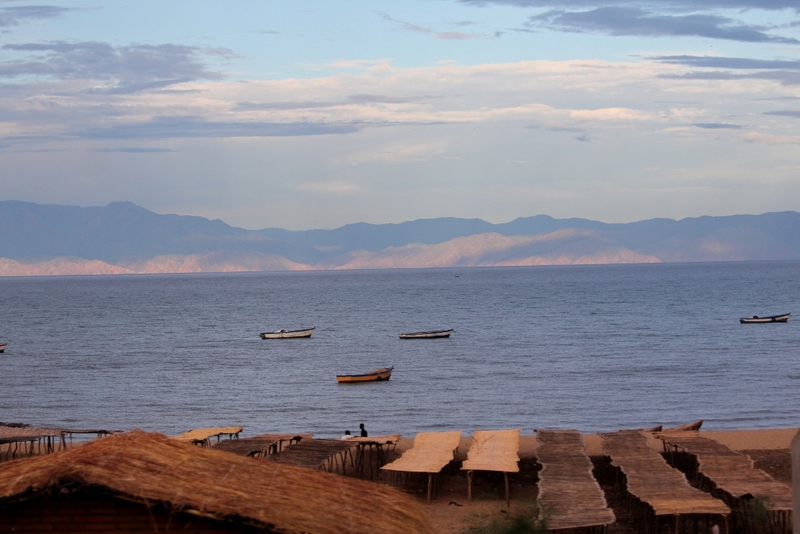 With daylight fading fast, I set off for the next camp on the lake, Chitimba, 80kms south. I arrived at Chitimba Camp as the sun was setting. One of the most important rules of the road in Africa is to drive whilst you have light – even twilight is a risky ride. 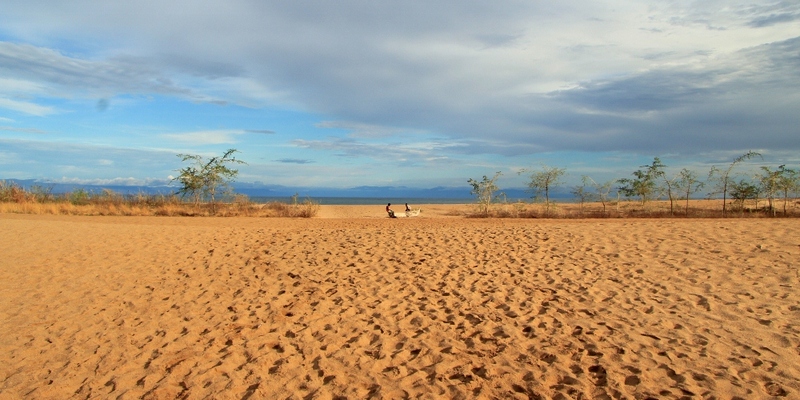 The road surface in Malawi is generally good but it also serves as the main thoroughfare for every man and his dog. 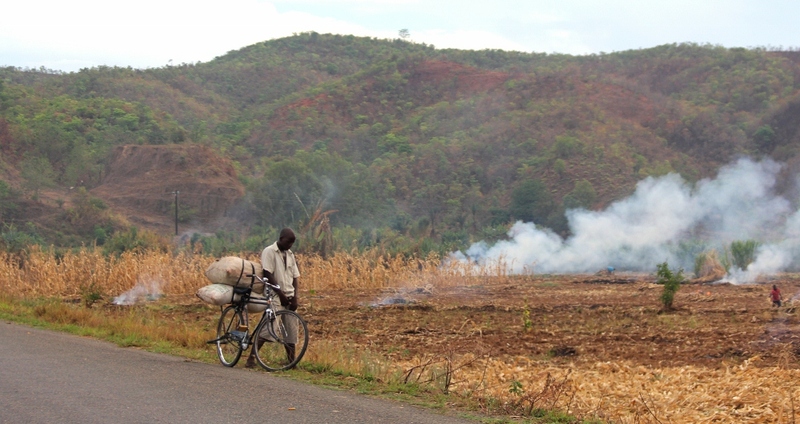 Malawi is one of the poorest African countries and very few Malawians own vehicles, so the roads are available for bicycles, hand carts, children, adults and trains of livestock. Aside from the occasional bus, you may see a clapped-out car or expedition 4×4, but due to the lack of traffic the roads are free for people to use. As a vehicle travelling at speed, you need to be highly vigilant and you find yourself driving in the centre of the road, avoiding the endless stream of pedal and foot power moving on either side. Keeping your eyes on the horizon, you dread the thought of an oncoming truck or bus as this tends to require advanced driving skills… immediate deceleration, and Stigg-like manoeuvring abilities through the human and livestock chicanes until the approaching vehicle has passed. You breathe easy and it’s back to driving with your tyres either side of the centre line. Approaching Chitimba I could see the Nyika escarpment on the right and the lake opening up to the left. From the northern border with Tanzania to Nkhata Bay 300kms south, Chitimba Camp is one of the only good stopovers on the lake. There’s no town here, just a local village with a few stalls selling the usual produce of onions and tomatoes. I took a left turn towards the lake and drove past a few village houses. Greeted by barefoot kids running along side the land cruiser calling for sweets and money, I rolled down my window and gave the a high five instead. As I drove past a dozen or so basic wooden stalls lining the dirt road before Chitimba Camp gate, I wondered how each of these incredibly skilled artists and sculptures make a living. The souvenir stands have been set up to provide the local villagers with a place from which they can sell their paintings and carvings without ‘harassing’ the tourists on the beach. A little sad really, but understandable. Malawi’s population survives on less than a $1 per day, so the competition for selling artistic work to tourists is fierce. It’s a sad reality that these people, in their desperate attempt to make up to a month’s wage with one sale, would start to approach visitors and not take no for an answer. People hoping for a nice quiet holiday at the beach soon choose not to visit these areas for fear of harassment and tourism declines. These allocated stalls seem to be the most reasonable and fair way of allowing the Chewa people to market their beautiful handcraft whilst the tourists walk the beaches undisturbed. 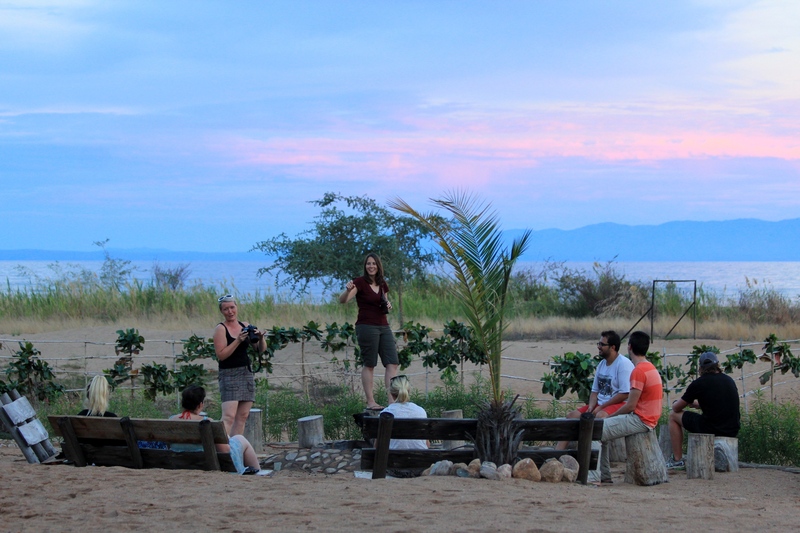 Chitimba Camp is set back about 200m from the lake, and is owner-run with a good restaurant and bar area. The basic accommodation is only around £1 more expensive than camping and I was exhausted from a full day of driving so that made the decision easy. There are a number of wooden style rooms, furnished with a single bed with a small window. I can’t say it was spacious, cool or airy but after a long drive, it was less hassle than climbing on the roof and opening up the tent. I settled down in the bar area to get some planning and blogging done. Despite the restaurant food being incredibly cheap at these camps, I have lost my appetite and seem to be happy snacking on fruit, nuts and tomatoes. Wifi is almost non-existent and costs an exorbitant amount of money for a frustrating internet experience which gets you nowhere. Bar Staff – good bunch! From my seat in the corner of the verandah I watched as two girls from the overlanding truck approached the camp bar. After ordering five rounds of double vodka and cokes, and digging through her bag for change, the one asks her tbff (travelling/temporary best friend forever) “What money are we using?”. The response, “I have no idea. What country are we in again?”. We had two incidents that night. On heading over to the communal washrooms to brush my teeth, I found a gathering of people surrounding an older lady standing in a bucket of water. She was sweating, puffy and panicked, and I realised that this was probably a case of anaphalaxysis, a response to a severe allergic reaction where the body produces a dangerously high quantity of histamines which can cause swelling of the body tissue including the throat. It turns out she’d stepped on a wasp in the dark and was reacting fairly badly to the sting. I asked her whether she was carrying an epipen (the drug needed to counteract this severe reaction) and she wasn’t. We got a few oral antihistamines into her and for some time she really wasn’t in a good place. There was one local hospital within a 300km radius and it was up in Livingstonia but the road is treacherous and not to be driven in the dark. With all the vomiting, she couldn’t keep the oral antihistamines down so we lathered her in antihistamine creme and her friends got her into a shower to keep her body temperature down. After a number of hours, she was slightly better. It seemed the reaction was subsiding and I left her friends to tend to her. It was well past 1am. Not long after I had put my head down to sleep I heard a huge commotion not far from my hut. I rushed out into the night to find two girls screaming and banging on the door of their overlanding guide, pleading with him to help them. They were absolutely hysterical and one seemed to collapse from what looked like a seizure. I ran over, and with the help of the tour guide, we got the girls out of his hut and back onto the grass area. Through frenzied sobbing and uncontrollable panic, the girls told us that someone had drugged them and they couldn’t find their friend. The tour guide seemed less than impressed and did little to calm the girls down. By this stage, half the camp was awake and some overlanding friends had come to comfort the two hysterical souls. I asked the girls a few questions, trying to find out if this person who drugged them was still in the camp and, more importantly, trying to piece together where the third friend may be. It didn’t take long before I had my doubts about this mystery drug lord, and my hunches were confirmed when the third friend sheepishly appeared only to tell us that they had all been smoking weed on the beach and these two friends had completely flipped out. She was fine but they had clearly suffered a proper dose of paranoia which lead to the fabrication of their weak story for fear of the police finding them and putting them into a Malawian jail. It was then that I understood the apathetic reaction of the tour guide – he must see this on every trip. I finally went to bed to the sound of an enormous thunderstorm over the lake. my sweet home. missing a lot!